WordPress is one of the most popular platforms, not only for bloggers, but for businesses of all sizes as well. There are more than 75 million WordPress websites and more than 20,000 posts are published on the platform daily. It’s a very powerful CMS and the majority of its users aren’t maximizing its full potential and power. We put together a list of X tips that can help you take full advantage of the features and power that WordPress provides. There are a few very good SEO plugins available for WordPress. They aren’t going to help you magically rank, but they will guide you towards best SEO practices. For those green to SEO these plugins will remind you how to properly optimize your content for your target keyword. For instance, they will make sure you use it within the body of your content and optimize other elements of your content to match, such as your title, page description and image alt-tag. We typically recommend WordPress SEO by Yoast. There are multiple calendar plugins available but our favorite is Edit Flow. This allows you to coordinate with multiple blog authors and schedule your content publishing schedule far in advance. The one thing most businesses have trouble with is keeping up with fresh content production because they scramble to post on the fly. This is a bad strategy because when emergencies arise it can lead to a missed publishing deadline. Using an editorial plugin will allow you to add posts for future dates and see a nice big overview of what your content looks like over a specific period of time. You will easily know what dates you need new content scheduled and if you get a head start and schedule in advance you will never miss a date even if something unplanned occurs. Comments are a great way to encourage engagement but if you become a victim of spam comments they can actually push visitors away from your website. There is a simple solution, and that is to enable comment moderating. We suggest our clients require all comments to go into a moderation bucket and be approved manually. This is good for two reasons. First, it eliminates the possibility of spam comments sticking around and second, you never miss a comment. If you don’t have to manually approve every comment you will miss some and fail to respond to them. Replying to every comment is a great way to attract repeat visitors and drive much more blog comment engagement. This is a relatively new feature from WordPress and not everyone is using it yet. This allows you to jump in there and focus 100% on writing your content. It basically hides all other options in your WordPress dashboard, allowing you to focus 100% on writing. It’s a great feature that not everyone is taking advantage of. Try it out and watch your productivity increase. Even if you don’t have a large development budget to hire a professional designer to create a custom website there is no reason your website shouldn’t be mobile-friendly. At the very least you should install a mobile responsive theme and use that until you can afford to have a custom theme developed. Take a look at your Google Analytics and see how much of your traffic is mobile. There’s a very good chance that more than half of your traffic is arriving on mobile devices. Interlinking your content is great for SEO but many people get lazy because they don’t want to search out old content to link to. Use the “link to existing content” option and you can search common keywords from your current post to easily see relevant content within your website to link to. It’s a great habit to get into, because interlinking helps to keep your website traffic on your site, increasing the odds that they convert and also helping to greatly reduce your bounce rate. There are dozens of great plugins that allow you to capture emails from multiple locations on your website and automatically add them to your email list. For instance, if you use Mailchimp they have their own plugin that you can install and it passes email addresses via their API. You don’t have to know how to code in order to add new website features. There are so many benefits of social sharing. You can earn links back to your website, you attract referral traffic and you gain free exposure by having your brand introduced to the social audience of those that shared your content. It’s important that your website has social share options in a very convenient location and they look like they belong with your website design. So many websites have great content but they have ugly social sharing buttons. Make sure they have the same look and feel as your website. 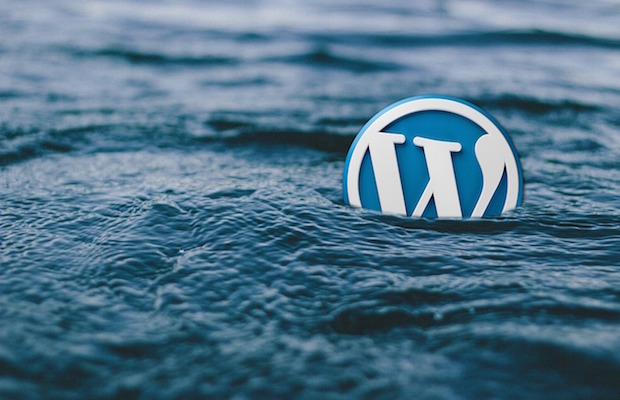 If you are using it as a platform for your website make sure you are taking advantage of these simple tips to help improve your WordPress blog. WordPress is one of the most powerful blogging and CMS platforms available when used correctly.